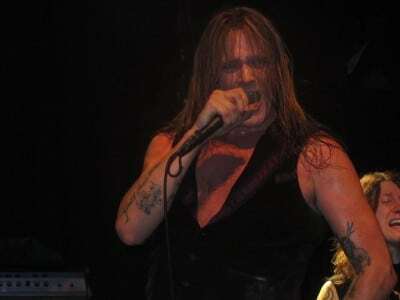 With Skid Row‘s latest singer Tony Harnell having recently left the band less than ten days ago and with at least three of the original Guns N’ Roses band members reuniting, there has been wide spread speculation that Skid Row‘s most famous frontman Sebastian Bach would be rejoining his former bandmates in Skid Row who would then open for Guns N’ Roses on their anticipated world tour later this year. Skid Row have yet to announce who their new lead vocalist will be but they do have a numbers of shows booked for 2016. The band reportedly postponed their most recent upcoming gig at the Turning Stone Casino in Verona, New York, USA on January 23, 2016 “due to unforeseen circumstances.”. It appears that news from the Skid Row camp on what they intend to do will be forthcoming in the near future or else the band will have to continue postponing scheduled shows.